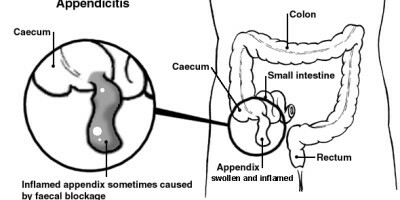 Appendicitis is an inflammation of the appendix. The appendix, located in the abdomen, is a 3 1/2 inch long tube of tissue that extends from the large intestine. No one knows for sure what the functionality of the appendix is, or what components of the body are impacted by its existence or removal. We only know humans can live without it, without any apparent consequences. Appendicitis is a medical emergency … Continue reading What is an Appendicitis?